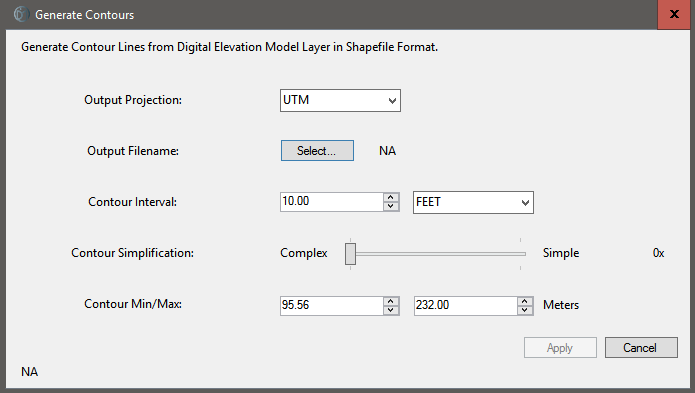 Once photogrametric processing has completed, the digital elevation model is available. 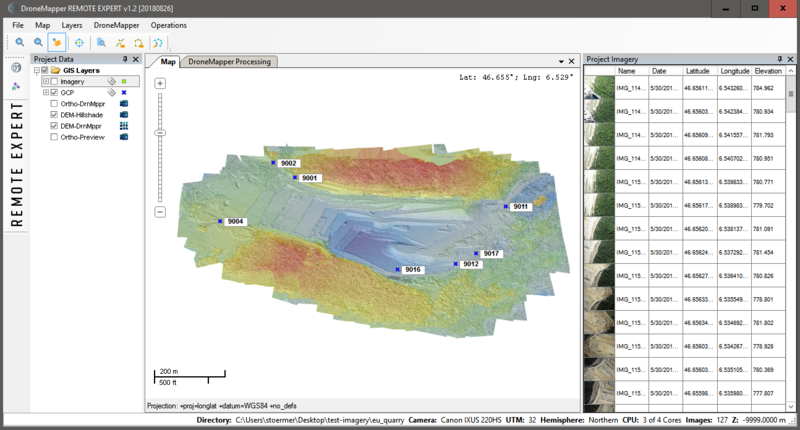 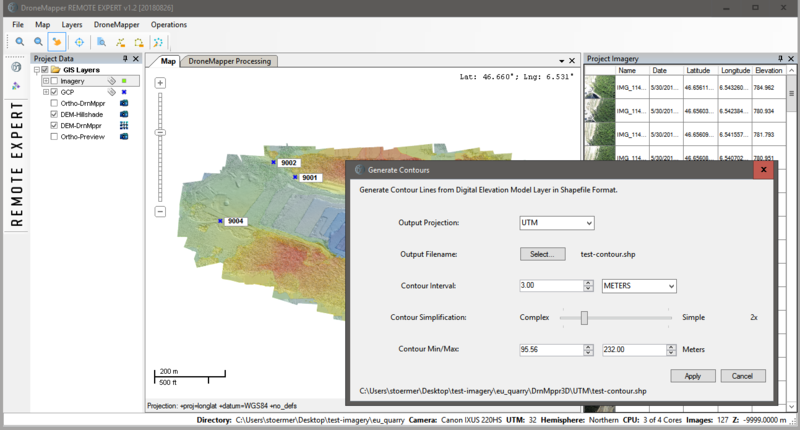 Once contour generation is completed, a new layer is created and displayed on the map tab. 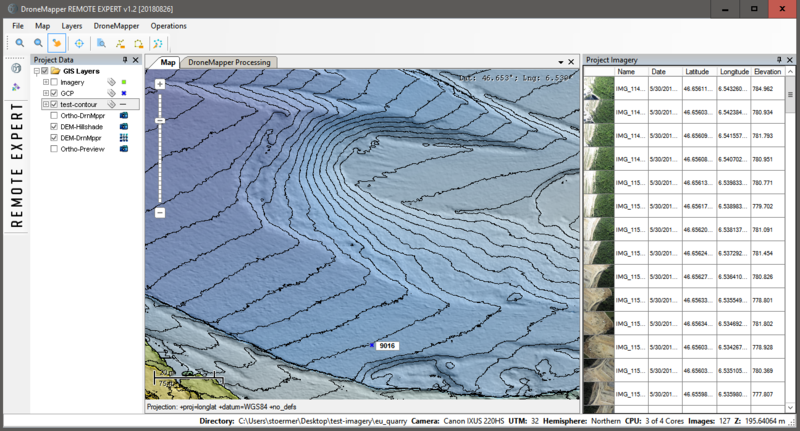 Here I’ve generated contours every 5 feet.